Contains 5 Duckbill Valves. Work with Spectra breastshields, Medela breastshields, and Nenesupply breastshields. Designed for these breastpumps: Spectra S1, S2, Spectra 9 Plus, Spectra Dew 350 breastpumps, and All Medela breastpumps, except Medela Freestyle. See photo illustrations for compatible breastpumps. One duckbill valve can replace a Medela valve and a Medela membrane. No need to buy extra membranes. Mothers have fewer pump parts to wash, sterilize, and assemble. The same or higher suction power than Medela or Spectra Original valves. Compatibility guaranteed! Made from BPA free Materials, and can be sterilized in water steam or boiling water. Comply with EU regulations for materials that contact food. Every batch is tested by independent labs for quality and safety. 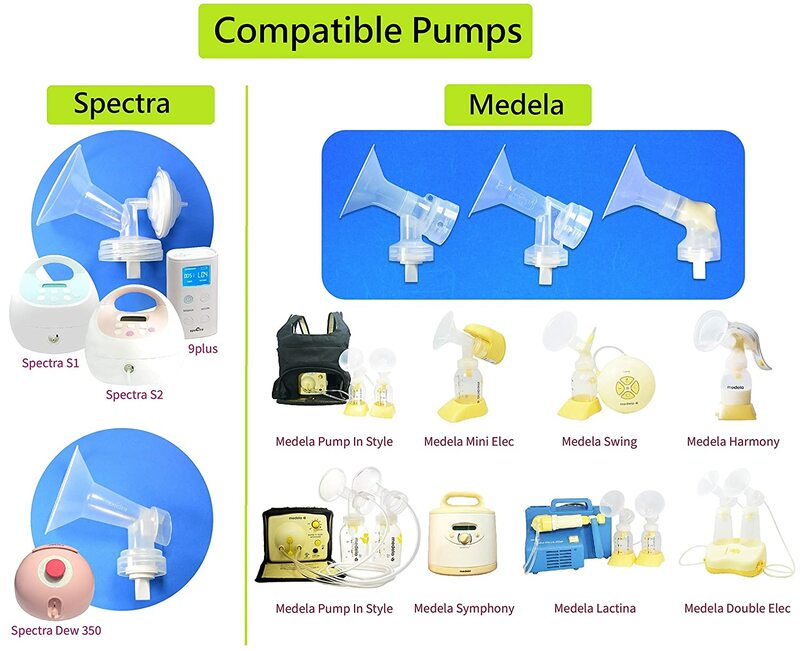 This product is designed to use with these pumps: Spectra S1, S2, Spectra 9 Plus, Spectra Dew 350 breastpumps, and All Medela breastpumps, except Medela Freestyle. It also works with Nenesupply breastshields. One duckbill valve replaces Medela valve and membrane. No need to buy extra membranes. With this newly designed valve, breastfeeding moms have fewer pump parts to wash, sterilize, and assemble. Medela membrane is thin and small, and can get lost easily. Made from BPA free materials. The material is silicon, the same as Medela membrane and Spectra valve. They are safe to sterilize in water steam or boiling water.